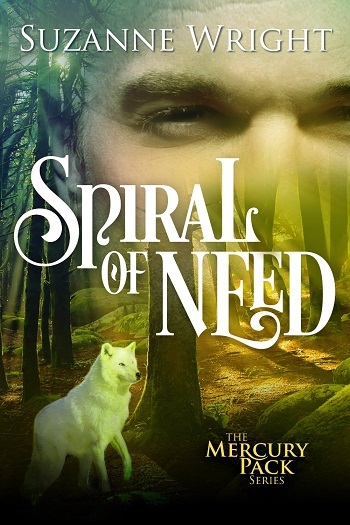 Madisyn Drake is a rare breed of cat shifter… a loner, unpredictably wild, and emotionally distant. A recent betrayal has left her ready to sharpen her claws on the next man she sees… until a prowling wolf with steel-gray eyes and a brooding dark edge challenges her distrust. No matter how fully he satisfies her touch-hunger, Madisyn’s not ready to open up again, even if it is oh so gratifying. 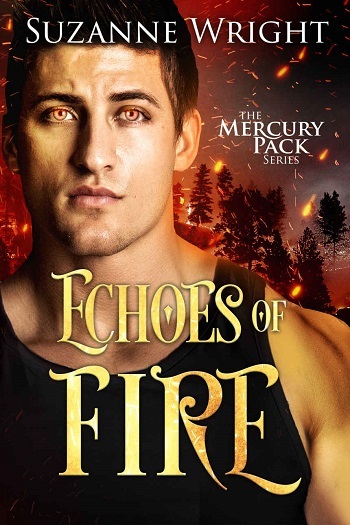 Echoes of Fire by Suzanne Wright is part of The Mercury Pack series, which is a spin-off from The Phoenix Pack series. I have read several of Suzanne Wright’s books in both The Mercury Pack series and The Phoenix Pack series and I’ve grown rather fond of all the characters in both series. Although, reading the previous books in the series is not necessary because Echoes of Fire can be a read as a standalone. That being said, I did have moments of wondering what I had missed because Bracken Slater’s character hadn’t previously really stood out to me in the previous books. I easily found myself developing a real soft spot for this wolf shifter who had been consumed by grief and guilt. Now, with Madisyn Drake, a rare feline shifter, in the picture he’s feeling more alive than he has in a long time. Wright’s characters always have such explosive chemistry in the bedroom and Echoes of Fire was no exception. I loved how well Madisyn and Bracken fit together! Reading Echoes of Fire kind of makes me want to go back and re-read some of her older books in this series because I kinda wish I had a better recollection of Bracken’s character. I was just so wowed by him that I can’t believe I missed him! Also, Madisyn’s character was such a strong independent female lead and I just adored her and her feisty Pallas cat self! I was kinda excited to get back into the shifter romance scene cause it’s been a hot minute since I’ve read a good one and Wright definitely delivered with Echoes of Fire. Another solid addition to The Mercury Pack series. 4 stars for Suzanne Wright’s Echoes of Fire! Madisyn is a loner, not just because of her unique breed but because of losing her parents at a young age. She's not meek or cowardly or afraid of facing life head on as one might be after experiencing such tragedies at a young age. Bracken is broken inside. Not only did he witness his family's deaths at the hands of those who want to extinguish the shifter clans, he feels enormous guilt because as an enforcer, it’s his duty to protect his pack as well as his family. Nothing has sparked his interest since the death of his family except for getting revenge. Now at loose ends, he's contemplating taking a leave from his post as enforcer to travel, to see if there is peace to be found. But then Madisyn is attacked by a group of bear shifters and he's sent in to check on her and make sure she's okay. Madisyn doesn't feel like she needs a babysitter but as the attacks keep coming, she finds that she doesn't mind Bracken being around. He gives her space to be herself and his house is even more secluded than hers. She has found peace with him – if only the bears would go away and let them see where this goes. This installment of the Mercury Pack is riveting, and I couldn't put it down. 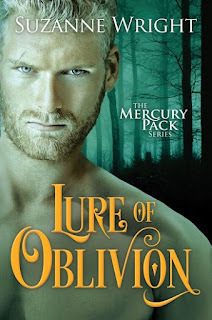 For reviews & more info, check out our Lure of Oblivion post. 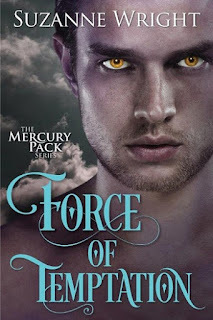 Reviewers on the Wicked Reads Review Team were provided a free copy of Echoes of Fire (The Mercury Pack #4) by Suzanne Wright to read and review.